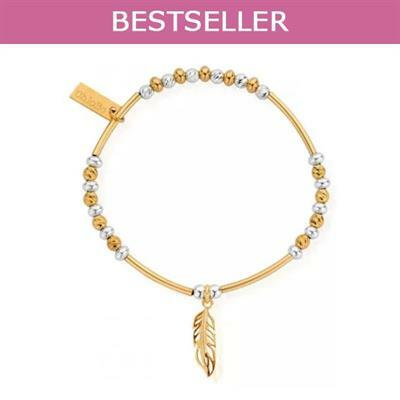 This ChloBo sparkle feather bracelet is made from 925 Sterling Silver and yellow gold plating. It features a feather which symbolises a free spirit and adds a touch of glamour. Add texture to your ChloBo bracelet stack with this stunning piece.